Dr. Timothy O. Johnson, Sr., began his ministry in Jackson Michigan, under the leadership of Bishop Ira Combs, Pastor of Greater Bibleway Temple of the Apostolic Faith, Pentecostal Assemblies of the World, Inc. Dr. Johnson, Elder Johnson at the time, served faithfully at his home church for fourteen years. Elder Johnson married Sister Sandra O’Neal of Cleveland, Ohio on July 29, 1989. To this union they have five children: Katie; Timothy Jr., Jonathan, Antonio, and Frederick O’Neal. In late 1994, under the direction of the Holy Spirit, Dr. Johnson was sent to Montgomery, AL. in accordance to Acts 13:4. Upon his arrival in Montgomery, Dr. Johnson began to preach the gospel to hungry souls. Dr. Johnson saw that there was a great need, and although faced with many obstacles, he knew what God has sent him to do. Following God’s direction. Dr. Johnson began a new work in Montgomery, AL and on February 5, 1995 Greater Bibleway Temple held its first service on Brockway St. (to God be the glory for the things He has done)! The Lord continue to bless the ministry and the membership grew. Dr. Johnson saw that the church on Brockway St. was not going to be large enough and following the leading of the Lord, Dr. Johnson purchased a church on Council St. After moving to Council St, the Lord continued to bless, and the church grew by leaps and bounds. Souls came in and were baptized in Jesus Name and filled with the Holy Ghost according to Acts 2:38. Once again, as the congregation continued to grow, Dr. Johnson realized the need to expand. After praying for God’s direction, God blessed Dr. Johnson and the Greater Bibleway Temple church family to be able to purchase the Church on Old Selma Road, our current location, where the Lord is continuing to bless in Jesus’ name and souls are being saved. In 1999, Dr. Johnson was elevated to District Elder and to Suffragan Bishop in 2004. During the Annual Council in July 2008, Dr. Johnson was elected Council Chairman of the Alabama District Council. In August 2010, he received his honorary doctorate degree from Aenon Bible College. Dr. Timothy O. Johnson has also worked for the State of Alabama, counseling and mentoring young men through the, Alabama Fatherhood Mentoring Program. Twenty-Three years ago, God led Bishop Johnson to Montgomery, Alabama and since that time the Lord has tremendously blessed. Not only has Bishop Johnson established the church in Montgomery, but he also pioneered several other churches in Alabama. Greater Bibleway has a sister church (Christ Temple) in Wetumpka, and a 2nd campus (Greater Bibleway Temple of Alabaster) in Alabaster. Under the leadership of Dr. Johnson, Greater Bibleway Temple began ministering to the needs of the community by opening a Childcare Development Center at the church on August 1st, 2011. The Center is being lead under the direction of Evangelist Janice Wilson. In March 2014, Dr. Timothy O. Johnson became a member of the Apostolic Faith Fellowship International, Inc. under the leadership of Presiding Prelate Bishop Charles E. Johnson. Dr. Timothy O. Johnson was elevated to the office of the Bishopric in August 2014 at the National Convention in Charlotte, North Carolina. Now Bishop Johnson presides over Episcopal District 6 (AL, MS, LA, AR). Immediately following the National Convention, Bishop Johnson established the AFFI Gulf Coast State Council in October 2014. Since that time the Lord has tremendously blessed, 14 churches have joined Episcopal District 6. We know under his leadership the Lord will continue to add to His Kingdom. 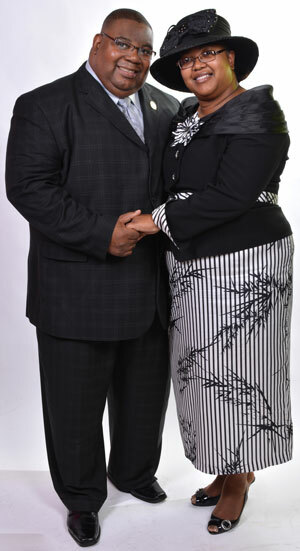 We believed that the Lord will continue to bless Bishop Johnson while he continues to server in the Kingdom of God.